Stunt Scootering has evolved very quickly in the Uk over the last few years and the sport continues to thrive throughout mainland Europe, Australia and the US. Although Mod is a new company, all those involved have worked inside the industry for over 3 years so we have a good understanding into what makes a good product. 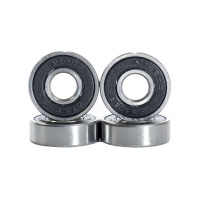 These are super good wheel bearings for your scooter at a great price. Coming in a pack of four then there is enough to do both scooter wheels. 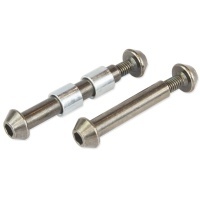 These are a pair of axles, bolts and rear spacers for your Mod Agent scooter should you have a little accident with the original pair. 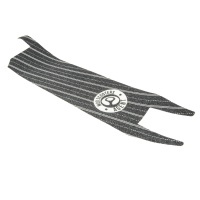 Keep your Mod Agent looking and feeling new with a replacement piece of deck grip tape. 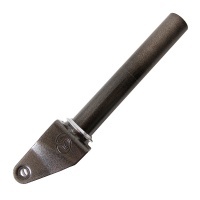 This is the long ICS bolt from the Mod Lite scooter, but it will fit many other forks needing ICS compression. 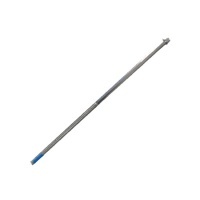 It is a allen headed bolt with a long thread so easy to fit. 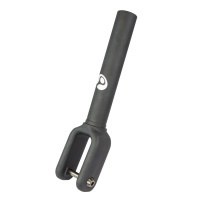 This is a standard integrated scooter headset which is just plain black. Super strong and fast but at amazing price it's perfect to put together a custom scooter. 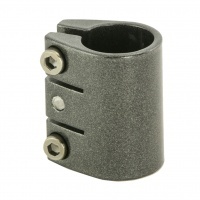 A replacement Mod HIC Plug and Shim kit for M6 HIC compression forks. 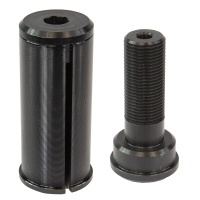 The Mod Scooters Modular pegs are an all new system for allowing you to fit pegs to both sides of your stunt scooter using premium axles which are provided. 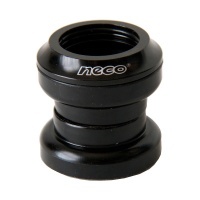 The Neco semi sealed headset is found on the Mod Lite V2. 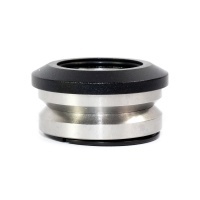 It is a great upgrade for scooters which use a threaded headset as standard but want upgrading to threadless. 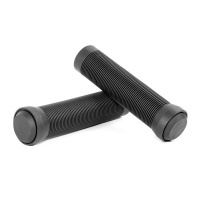 The Mod Scooters rib handle bar grips in black should fit any scooter and provide a comfy grip with bar ends which are required by most indoor skateparks. 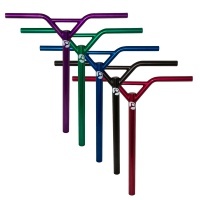 The Mod Riot handle bars are the bars found on the Mod Lite V2. A great standard design with stunning liquid paint finish and embossed Mod logo on the top piece. 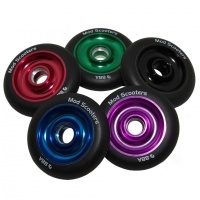 The Mod SL-AG 110mm metal core wheels are a shop favourite for custom scooters. 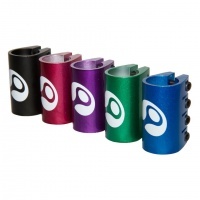 They are very durable and a lot of our local riders use them in our indoor skatepark. 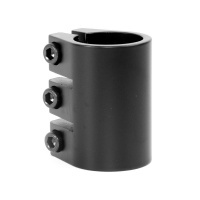 The Mod TFA fork in black is the fork found on the Mod Agent and very popular with our customers making high end custom scooters. It works with all compression systems. The Mod TFA fork in purple is the fork found on the Mod Agent and very popular with our customers making high end custom scooters. It works with all compression systems. If you have the Mod Scooters TFA forks and want to run HIC instead of ICS or SCS then this is what you need. Remember you will need oversized bars as well. 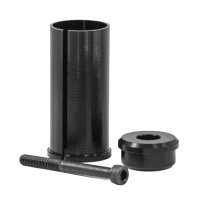 The Mod Scooter threadless steel forks in black are a great upgrade solution for older scooters wanting to upgrade to ICS. Everything you need is inside the box. 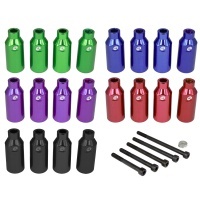 The Mod Scooter threadless steel forks in purple are a great upgrade solution for older scooters wanting to upgrade to ICS. Everything you need is inside the box. 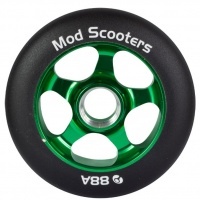 These 100mm metal core wheels from Mod Scooters are a very durable 88a PU wheel. 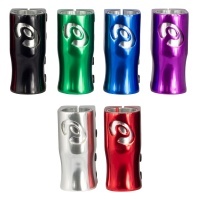 Great for use in skateparks and on the street. They will fit every scooter we sell.